Rodent control begins with sanitation. While rodents find warmth and shelter inside structures,food is their first reason for living in and around structures. Thus, every effort should be made to eliminate rodent food sources in and around structures. Foods should be kept in sealed containers made of materials difficult for rodents to chew through, such as metal and hard plastic. 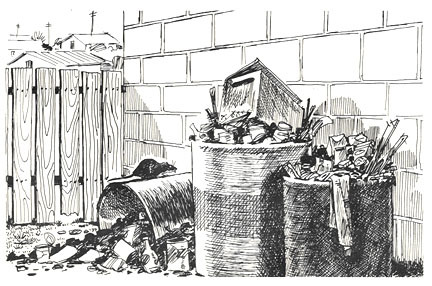 Trash also should be stored in tightly sealed containers including trash cans and dumpsters with lids. 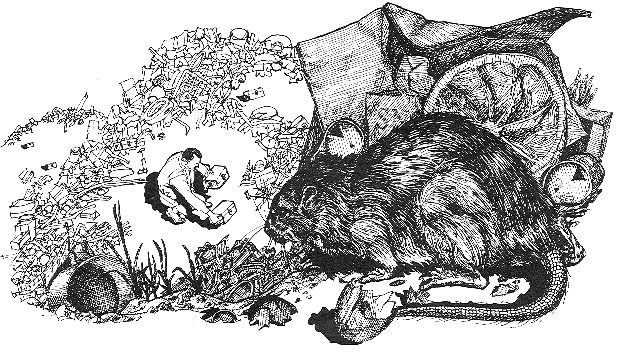 Replacement of a municipality’s trash containers with “rodent-proof” containers should be a part of the city’s rodent management plan, especially for areas where rodents are a recurring problem. 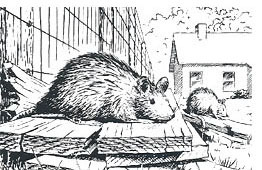 Around larger commercial facilities experiencing significant rodent activity, bait stations are often placed 75-feet apart around fence lines, spaced at 50-foot intervals against the building’s exterior, and indoors at 25-foot intervals along exterior walls. Such spacing can be made smaller or larger, to match the level of rodent activity. 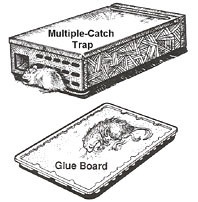 If bait is consistently being taken only along one corner of a structure, it may be beneficial to move bait stations from other areas to that corner, or simply to add more stations to the area experiencing the greatest rodent activity. Rodenticides come in a variety of forms and formulations. Bait blocks are preferred for use in bait stations. Grain, pellet baits and pellets in place packs can be shaken out of stations and translocated (carried away) by rodents, creating a potential for poisoning non-target animals. Liquid baits also are available. These can be used effectively where rodents (especially rats) have ample food resources but limited access to water. Like solid baits, liquid baits should be housed in tamper-resistant containers or be placed in areas inaccessible to children and non-target organisms.Selection of which bait product to use is also specific to the situation. 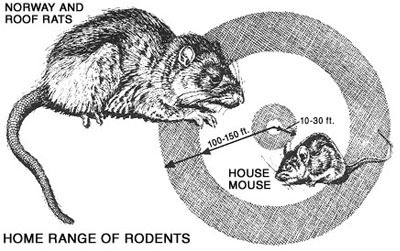 Considerations include rodent acceptance of and resistance to the rodenticide, the amount necessary to kill a rodent (single or multiple feedings), the bait’s toxicity and secondary poisoning potential, and the potential for contaminating food and poisoning non-target organisms including humans. Often, public information is best provided before it is requested. Proactive public educationcan prevent misconceptions and misinformation from arising, and thus save program employees time that might be spent answering questions from the public, special interest groups and media. Public education is a necessary component of municipal operations, and this is certainly true for rodent control programs.